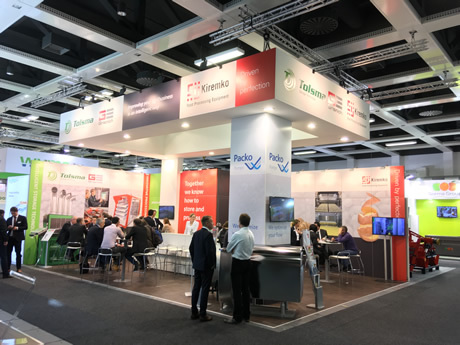 Dutch machine manufacturer, Tolsma-Grisnich, will have three central themes at Fruit Logistica. These are sound, energy, and the environment. Corporate sustainability is becoming increasingly important for business owners. This is also the case for farmers. People are becoming more aware of the environment. They are willing to adjust their habits, sometimes because they have to. Tolsma-Grisnich is also responding to these developments. Innovations are being made in energy-efficient machines which produce a lower sound level. Materials that are less damaging to the environment are also being used. Take the AIR CONTROL MAX, for instance. This company's revolutionary fan has a sound level that is up to 36% lower. Its rpm's are up to 35% less, while its air output is as much as seven percent higher. With the new QCC edition, a new sustainable, future-proof system has been developed. It also meets the requirements of the current, strict laws and regulations. Another system that will be prominently featured at Fruit Logistica is condensation drying. This method of drying allows for continual drying, regardless of the weather. In addition, it ensures better product quality as it is energy-efficient. Are you interested in Tolsma-Grisnich's innovations and developments? Then, come and visit the company in H5.1, Stand A13 at Fruit Logistica.